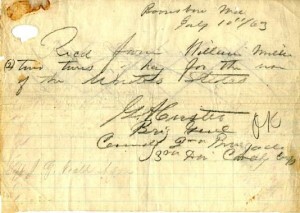 Military leaders normally had careers during which they signed many letters and documents, and the most famous and popular were asked for their autograph signatures. 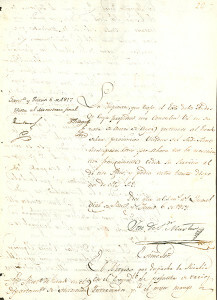 Beginning with Frederick the Great, who is surprisingly available in signed letters, military leaders were required to address the details of their armies and navies, and to give approval to numerous transactions. Napoleon Bonaparte, whose signed letters are frequently offered, personally, was aware of almost every detail of the French army. 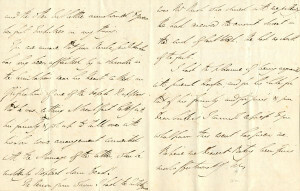 The British admiral who defeated Napoleon's navy, Horatio Nelson, is rare in signed letters and signed documents due of his early death at the Battle of Trafalgar. The Duke of Wellington, who defeated Napoleon at Waterloo, lived a long life, was Prime Minister of England after his military career, and was perhaps the most famous and popular person in England in the early 19th century. 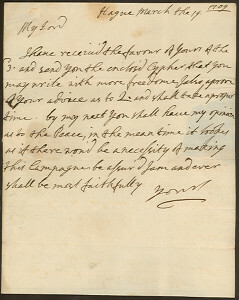 He signed letters concerning all types of affairs, and though his autograph signature is difficult to read, his signed letters were preserved and are available today. 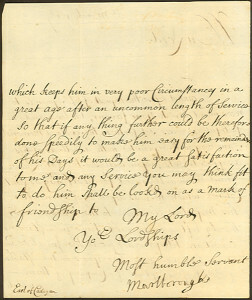 Few American or British generals during the American Revolution are available in signed letters or signed documents, as this area of military autographs has been very aggressively collected by institutional libraries for decades. The American Civil War is a much more fertile area for collectors. 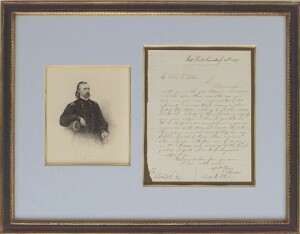 Generals, and particularly Union generals, had long careers after the war and were asked for their autograph signature very frequently, which they were happy to give on cards. The principal Union generals, Ulysses S. Grant, Philip Sheridan, William Tecumseh Sherman, and others, were all famous enough to be saved by succeeding generations. The Confederate generals are much scarcer, mainly because they did not have careers after the war, with a few exceptions. 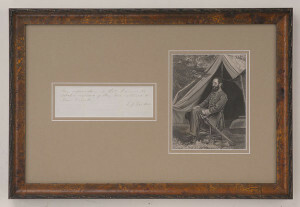 The scarcest of Civil War autograph signatures are of those who were killed during the war, notably, Stonewall Jackson. 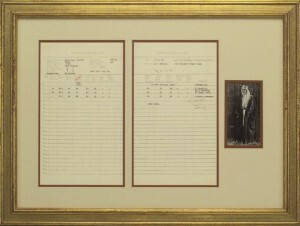 Please browse our selection of military autographs, signatures and signed memorabilia or you may search our entire inventory alphabetically, by name or by category.